Fully managed EDI service VS HTTP Web Service: Which is Better for Your Business ? Electronic Data Interchange (EDI) is one of the most used protocol in a modern Business to Business integration. 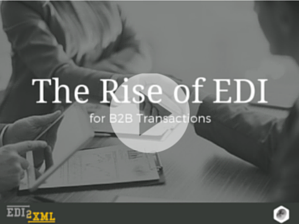 EDI technology is growing fast and is evolving with time. Companies from all verticals, are extensively leveraging EDI, and benefiting from its advantages. EDI standard and all the services around it, are becoming more and more popular, regardless of the industry, for one major reason: EDI transactions are replacing paper documents exchanged between trading partners, and helping companies in their digital transformation projects, for a “greener” planet. How to select? What kind of EDI integration solution is a better option for your business? First, let’s understand both options. 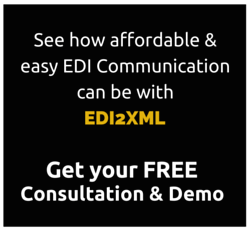 The EDI2XML service offered as “fully managed”, includes translation and communication service offering to businesses of all sizes, from different industries. In other words, with this option, we take care of everything: all the steps of the project from A to Z. We can even integrate directly into your ERP or CRM system. We provide certified connectors for leading IT systems such as Salesforce, JD Edwards, SAP, Dynamics CRM, Dynamics AX, and more. A setup phase is mandatory for all new Trading Partners and/or EDI document implementation. This stage includes the project analysis, setup of Trading Partner accounts, configuring Partner specs and platform, defining the transfer file structure, building and setting up all required connectivities and communication protocols. It also includes an end-to-end full cycle data testing and certification. As for the pricing, it is based on pre-defined monthly service packages, including a pre-defined volume of data processed. All our packages are billed monthly based on the entry level plan (Business Light) at the beginning of each month. Subsequent month billing will include the basic plan fee PLUS the difference between the plan we billed initially (Business light) for previous month, and the plan that we were supposed bill for the previous month based on real volume of data processed for that month. All this to say, our monthly pricing packages are dynamic, they go up and down based on the volume of data we process and integrate, and our clients are not locked in in any of the packages. EDI2XML Web Service, is an HTTP service running over the internet, on EDI2XML own platform that is capable of receiving HTTP requests to translate EDI messages to XML, and XML messages to EDI (based on EDI2XML’s proprietary format). 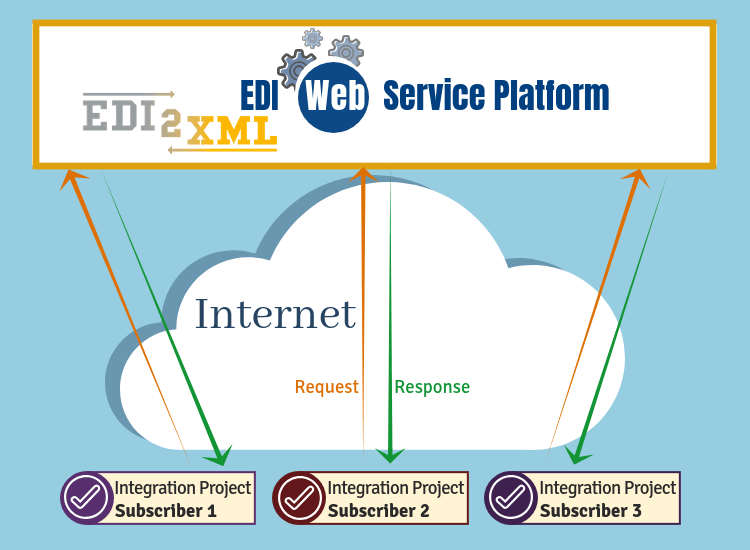 The principles of the mechanism of EDI2XML Web Service is schematically illustrated in the below diagram. 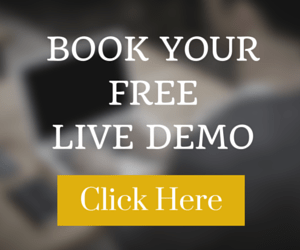 We offer a 15 days free trial, without any commitment. There is no contract, no commitment. Payments are month to month; Cancel anytime with a 30 days’ notice. 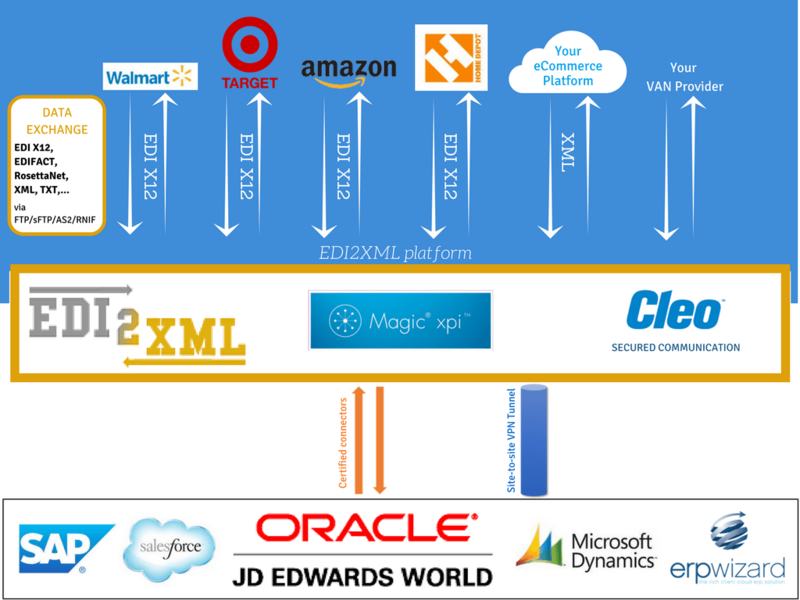 Implementation time: Getting started with EDI2XML Web Service, is very simple and quick. Within less than an hour, you can issue the first Call to the Web Service and see the response. Our HTTP EDI Web service is very clearly documented, and we provide instructions with each subscription. Quick entry: you can be up and running in less than an hour, and it is proven; we provide everything to your developers to get started, a java client with its source code and instructions on how to work with it. We offer the schemas(xsd) of the XML format our API expects, and all what you need to do is to format your data according to that format and you will be up and running. Monthly mailbox fee: a “fixed” monthly fee for the Web Service Mailbox usage on EDI2XML platform. It is a nonrefundable fee. 1. You need to provide us the list of documents/transactions you want to be activated under your trial account. 2. We will simply set you up with a 15 days trial account, without any commitment from you. Just let us know when do you want to kick off, and we can take care of setting you up on a trial account. 3. We provide a Java client and its source code. You can get started with less than an hour, this will allow you to try and see the results by your own. Data processing fee Based on the appropriate plan. It works in both directions: when the volume goes up and when the volume goes down. “Variable” fee based on the volume of data processed and translated between EDI and XML, during a calendar month. 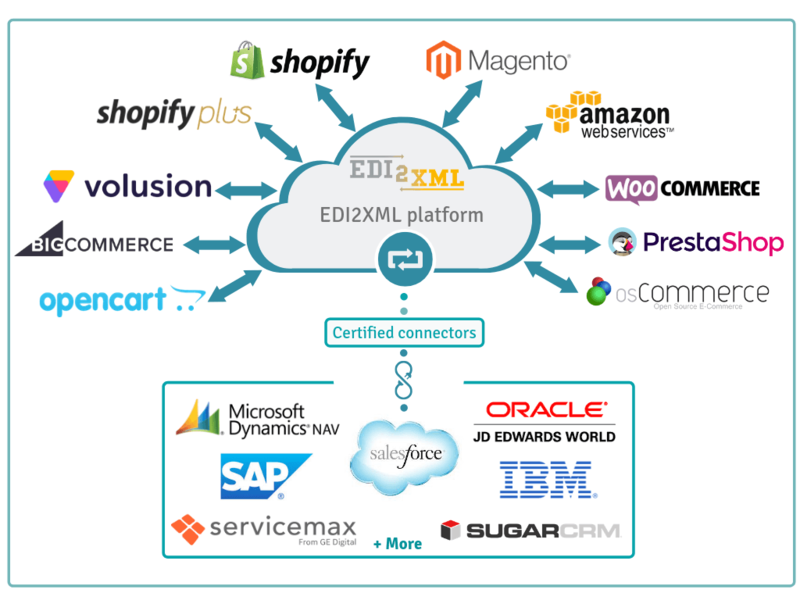 We, at EDI2XML, provide an EDI integration solution for every type of business. Contact us today for a free consultation and we will help you find the most appropriate option for your business.